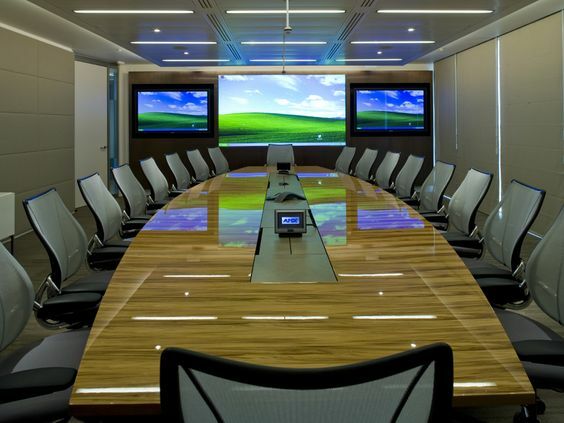 Are you in need of design ideas for a new boardroom layout? We’ve put together a list of 15 unique (and sometimes quirky) ideas for planning your future meeting rooms. To find these designs, we diverted our attention to Pinterest. Take a look and make sure to check out our other boards on Pinterest! 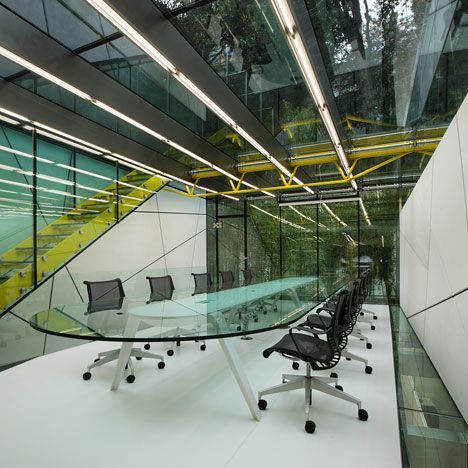 This lengthy glass boardroom table combines with the white chairs and surrounding environment to create a fresh, modern space. Dangling candles provide a unique look, with incoming sunlight adding to this effect. 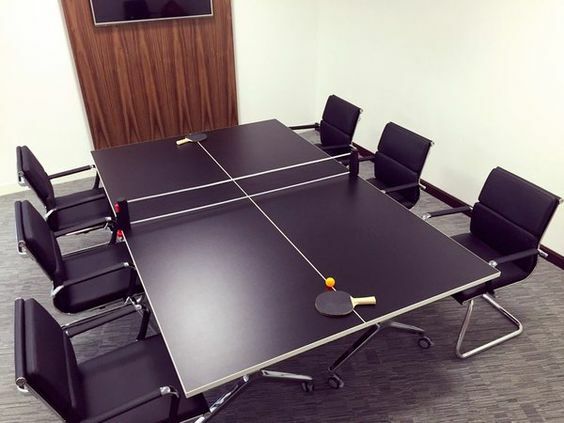 This design adds a bit of fun to the workplace and gives the table multiple purpose (especially when used at lunchtimes). Whilst this quirky style appeals to me, I’m not sure it would set the scene for an important boardroom meeting… so if these occur regularly I may be inclined to give this one a miss! 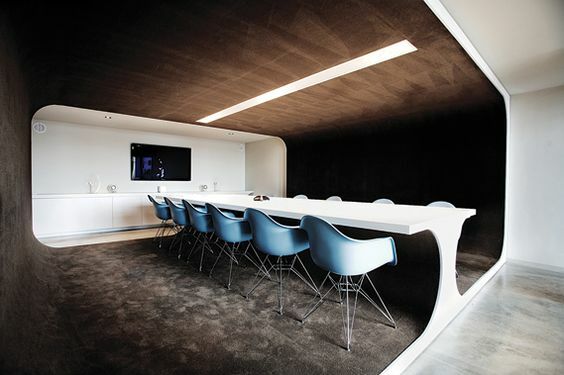 This eccentric boardroom layout creates a standout traditional effect. Its obscure design had me drawn to it, especially with the head of the table’s chair varying from the rest. 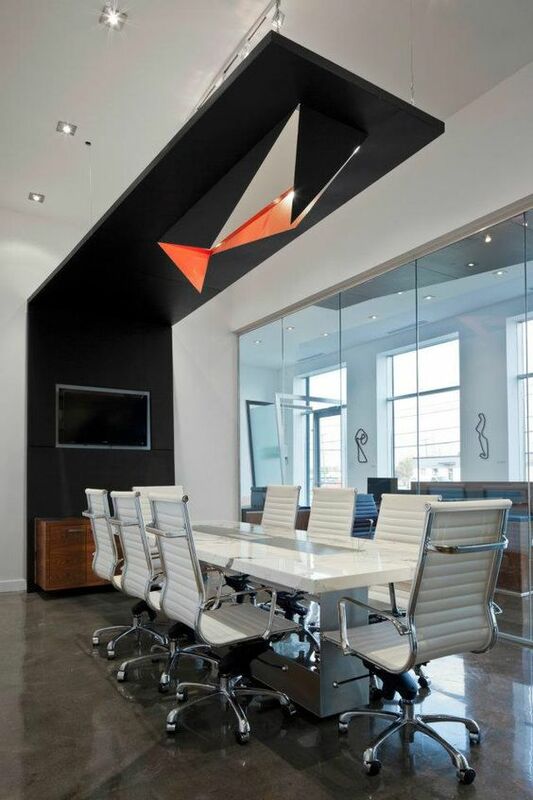 We love the modern style of this boardroom layout, with its reflective, polished table. The smart seating really complements the arrangement, with the colours matching those of the central table segment. 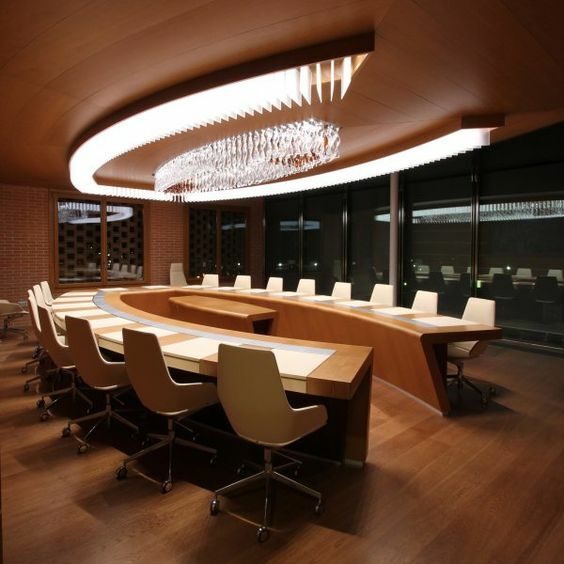 Arguably quite a common design, the wood finish of this boardroom captivated me into further research. The colour scheme of the beech effect with the white creates a high class, modern environment. Whilst the complete interior of this boardroom isn’t visible, it’s the exterior formation that originally caught our eyes. The obscure arrangement of the wall roping is a lot different to the usual external patterns you may see. Traditional and adventurous, this layout overlooking the city very much appeals to us. We especially love the ancient wood aesthetics, along with the historic script upon the wall. This strong effect allows you to picture yourself in the previous centuries, and is the reason we are drawn to this design so much. This abstract combination of colour and design really creates a special end product. The classy seating arrangement really complements the abnormal structure of the roof. 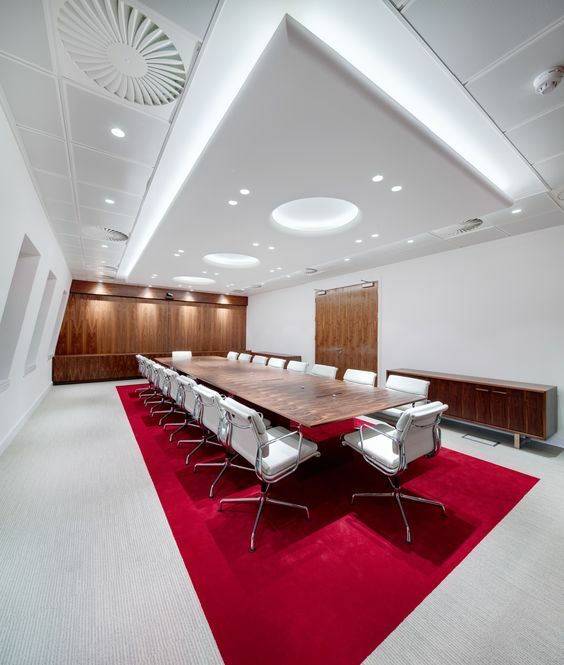 This boardroom layout really caught our eyes with its fairly straightforward and simple plan. As stated in previous designs, the wood effect in a white environment really works. Plus, check out the coloured carpet underneath the table. 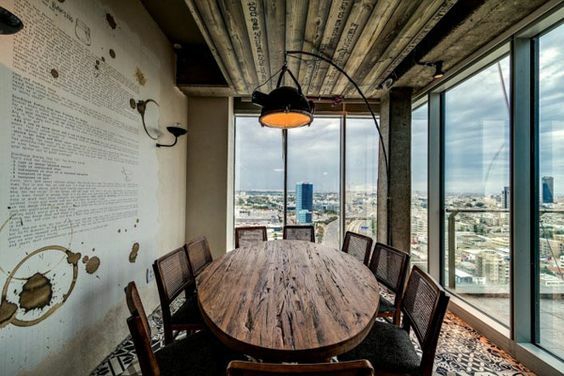 This fairly confined space is a peculiar way to present your boardroom meetings, but is unusually pleasant to look at. This design almost looks as though it could be used as a kitchen, but is presented in a classy way. 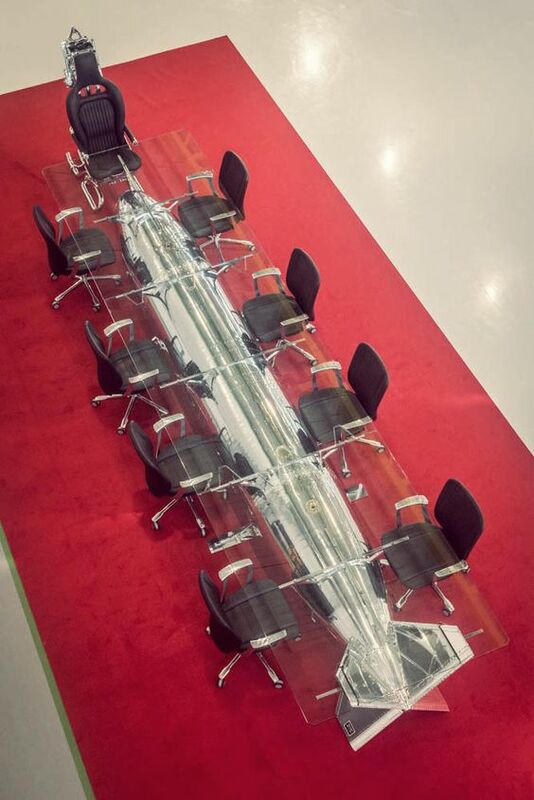 The glass theme of this boardroom layout is a strangely unique way to host your important business meetings. Its stunning futuristic look allows you to view the outside world, creating a soothing effect in what can sometimes be a stressful environment. Whilst previous layouts may have seemed quirkier, this fairly basic design really stands out. The table isn’t all that appealing in our opinion, but everything else about the room is engaging. The carpet, chairs, hanging lights, and even the wallpaper really combine together to create a visually-pleasing space. This formation has made it into our top 3 as we love the symmetrical surroundings of the oval-shaped table. The lighting looks incredible as it follows the table’s shape, focusing your attention on the relevant areas. 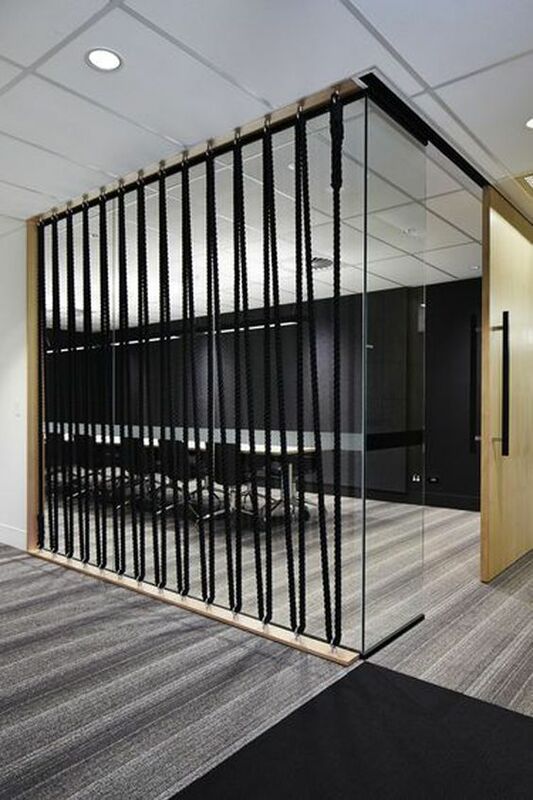 Similar to the rope design (No.10), this boardroom does not solely target the interior presentation. It possesses a kind of modern, natural approach with the use of objects and colouring. 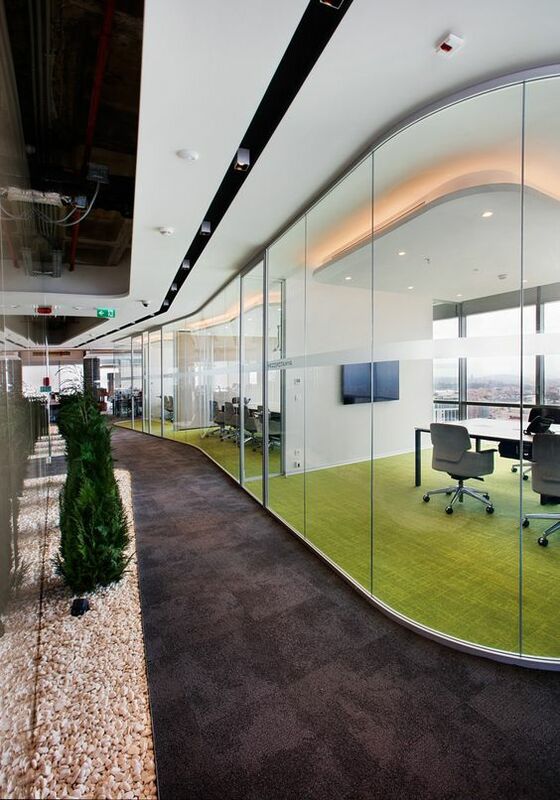 The glass pods along with the landscape effect creates a fresh space... we would definitely enjoy having meetings in here! As a recurring theme, it’s no surprise that our highest-ranked design is of a wooden finish. There’s just something about this layout that is really appealing. It possesses a modern but sort of old-fashioned composition, with every aspect of the room combining together to complement one another. 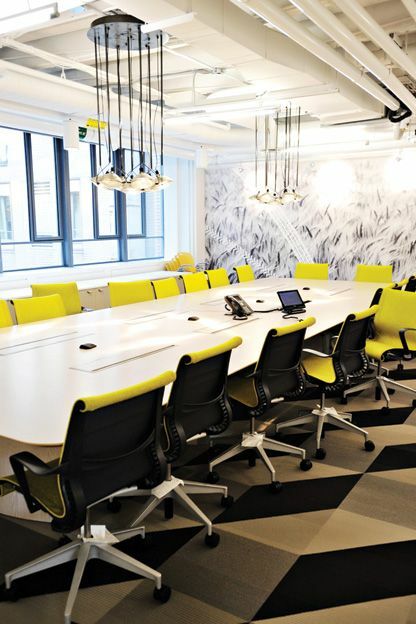 Inspired to update your meeting rooms? 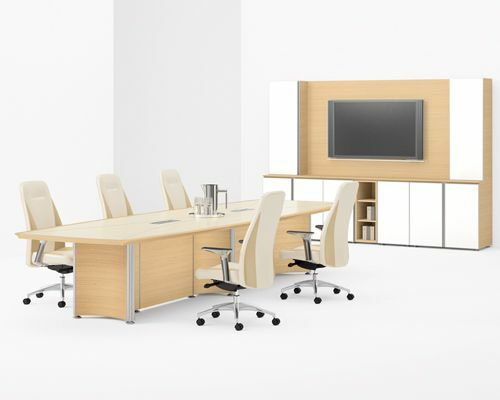 Don’t forget to check out our meeting room furniture to make the most of your space!